BMW will aim the X1 at people in their mid-30s to early 40s. DETROIT -- BMW brand outsold Daimler AG's Mercedes-Benz last month to expand its lead as the top-selling luxury auto brand in the United States so far this year. 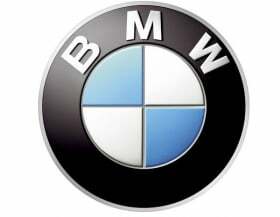 BMW's U.S. sales, helped by deliveries of the new 5-series sedan and its X-line of SUVs, rose 12.8 percent last month to 21,637 compared with a year earlier, the Munich-based automaker said in a statement. Mercedes' sales rose 13 percent to 20,652 in June while deliveries by Toyota Motor Corp.'s Lexus fell 38 percent to 10,773, as the Japanese make lacked inventory following the March 11 earthquake that disrupted manufacturing. After six months of sales, BMW looks poised to outsell Lexus in the United States for a calendar year for the first time since 1997. BMW's sales through June rose 13 percent to 113,705. Stuttgart-based Mercedes deliveries rose 7 percent to 110,926 in the United States while Lexus's fell 18 percent to 88,010. Lexus has been the annual top-selling luxury auto brand in the United States for the past 11 years. "They're too far behind now to catch up," Jim O'Donnell, head of BMW's U.S. operations, said of Lexus in a telephone interview.